Orcas Island High School is a Petri dish of sports and other competitive teams. They multiply, and they all have incredible promise. However, one of the greatest sport teams has gone relatively unnoticed up until now. The Orcas Island Shining Shuffle Boarders have made it to nationals this year. The team is understandably hyped, having beaten record of sports achievement previously held by the water polo team that won the state championship last year. Simpson recounted a fond memory about a team practice that took place during a heavy storm. Instead of quitting, they thought about what those brave, elderly and animated retirees would do. After the coach delivered an inspirational speech, they chose to keep playing. 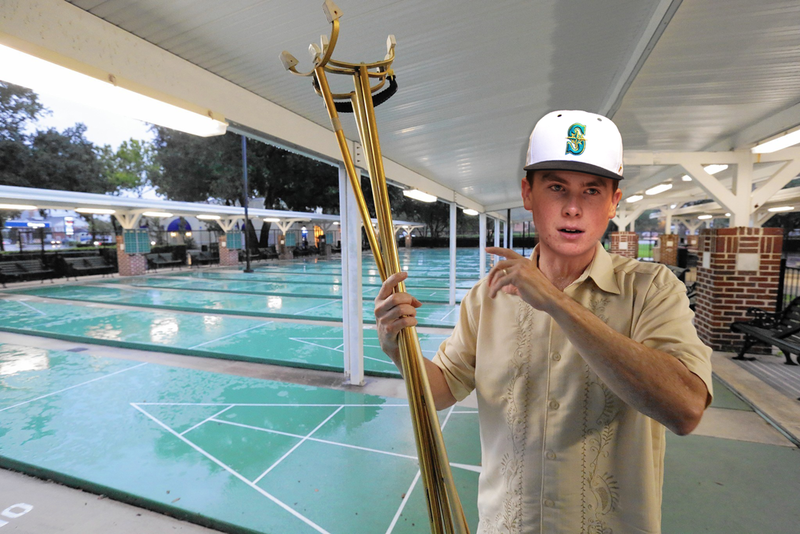 When talking about his team and the true art of shuffle-boarding, fire could be seen behind the coach’s eyes as his fists clenched, recounting his passionate affinity for shuffleboard, and how feeling the wooden pole in his grasp and sliding those discs made him feel more alive than ever. The winner of the national championship is awarded with the opportunity to make a single wish that the shuffleboard board association tries to fulfill. It is the make-a-wish foundation for champion shuffle borders. The gem team of Orcas has already decided on their wish. “We’d wish for the chance to play shuffleboard with all the voice actors of Kim Possible,” the Simpson said, choking back tears. “The team wants to show everyone how much of an impact the actors’ voices filtered through cartoon characters has had on their lives.” Simpson started to silently cry and stare longingly through the window. Good luck to our prize shuffle-boarding superheroes, and may their wish come true.